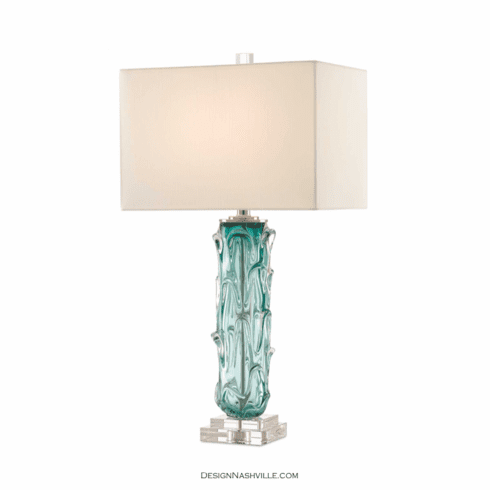 Skilled artisans mix clear and turquoise molten glass to create the captivating column that rests on the stacked optic crystal base. The rectangular shade is beautiful clean and crisp for today's interiors. Hardware is finished in nickel to complete the luxurious look.